Thank you to all who attended. Huge thanks also to our amazing sponsors, volunteers and speakers. 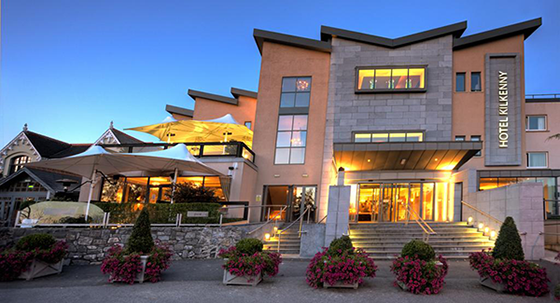 This year we will be returning to the wonderful Hotel Kilkenny. The theme for the Conference is “Skills & Drills: Caring with Confidence” and we have an array of exciting speakers lined up. The airway stations are back again for all delegates, as well as many of our wonderful sponsors in the exhibition area. IARNA again look forward to seeing your posters this year, with prizes for the winners of course! Last year, booking moved to online only and this proved to be a great success. This was to avoid disappointment as the Conference grows, and to facilitate an online database of members so that we can share new developments with all attendees. In a change from last year however, we have listened to our members and are returning to paper receipts and certificates for 2017. These will be in your Conference booklet that you will receive on the day. It is important to note that it is really important to make sure we have your own correct email address on the day at registration and to add info@iarna.ie as a contact to avoid mail going to spam. IARNA extends a huge thank you to all our contributors. The Conference poster is also available to download here! The poster can be pinned to a notice-board or posted around your place of work and is a convenient way of notifying your work colleagues about the event. Poster Submissions – Deadline September 1st! The Irish Anaesthetic and Recovery Nurses Association invite you to submit abstracts for their poster presentations. Poster presentations pertaining to any topic relating to the perioperative nursing care experience, especially anaesthetic and recovery room nursing care. Poster Display must be original work. There are prizes for winners of the poster competition! 1. The competition is open to individuals or groups of Anaesthetic/ Recovery room or Operating Department Nurses. 2. Poster Display must be original work and pertain to perianaesthesia/perioperative nursing submitted by September 1st. Title of paper (capitals, bold). Name of author(s), present job title, qualifications, address of the presenter/s. Font: Times New Roman, size 12, with 1.5 line spacing. Use the Harvard Referencing System. Thank You to Hotel Kilkenny & all of our Sponsors!